Vlog 246: Interview on the Resteem Radio Show + Waiting for the markets to find direction. 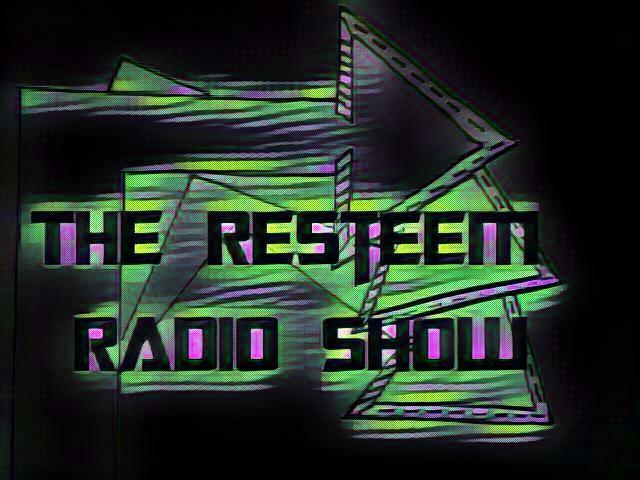 Yesterday I was on The Resteem Radio Show hosted by @PoeticSnake and @Ma1neEvent. You can find a recap of the show here. If you are interested to come on the show sent a message to @PoeticSnake or @Ma1neEvent. I thought it was a very laid back and fun interview with great hosts so I would say to go for it! They are always interested in chatting with new members of the Steem Community! After yesterday tiny blip upwards the STEEM price has come down again and even went below $2 this morning for a while. Who knows? I might get a chance to buy some more with Fiat because it's getting closer to my buying price (< $1). Bitcoin also went below $8000 briefly and is now also not too far from my buying price of < $6000. I'm just waiting for the markets to find direction. Which I suspect many are doing at this moment. I talk about it more in my vlog. I am a witness with our developer group @blockbrothers for the Steem blockchain. If you want to support us I would appreciate your vote here. We build Steemify a notification app for your Steemit account for iOS. Price tend to go down at a certain time of the year. Not happy but it’s what it is. Yes sir good time to stack up on Steem. You made a video recently telling people to invest in steem at the price which was over $3. You also make clear that YOU will never buy again unless it's under $1. While telling others to save the price but you are too tight to step up and defend the price yourself. I saw same thing this morning, the coin market is totally red every were. It a good time to invest on my own side, but i have invested last week much on different coin. Reading your post today I learn something about on how play my invest roll out. I just take my time to watching the Resteem Radio Show you had. I was just like, am kind of missing out. But next show coming up I will make sure i turn up, because I learn something great from you guys. Enjoy your content brother it's always enlightening. Nice to hear and learn from those who've been there and done it. I think in the medium term all CryPtO's will be going higher as more and more get on board. Yes, they seem to be in the gutter and have been for a while but when they start to move higher all will be forgotten quickly by most. It's the patient ones who will remember and benefit from the learning curve. See you on the flip side. I love your optimism, perhaps because I’m thinking the same way. I’m still waiting for this famous panic selling when everyone starts thinking “it’s the end of the world, it will go to zero” even I could think that. I’ve learned that since these crashes in 2000 and 2008. There was this unique opportunity. I hope we are getting close now, because this waiting is frustrating. How did you originally come to your buy price @exyle? I know you're in a different position from me, i.e. already feeling you have enought Steem, but I keep changing the goals posts. When I looked this morning and it was just over $2 I decided to wait until it went be low $2 but then it went up again. Earlier in the week I was waiting for it to come back down to $2.2 but then it went lower so I waited again. What is the usual basis for setting a buy price or can you point me to some easy education about it? I put my buy price there because I already have enough STEEM and I'm looking for a low price. If it never reaches <$1 I'm fine with that. If you want to accumulate more STEEM right now I would recommend buying in on average. Buy a little bit of STEEM every day/week around the same time. You will get a nice buy-in average. This is how I bought all my crypto in the past. Thanks @exyle. Sounds like a good plan. I'm not talking huge amounts anyway. I should probably do the same with powering up my SBD because it's just sitting there. I stopped powering up when the price was "adjusted" hoping it would get back to at least 1.2 SP but it never has. Yesterday it was at 1.1 for a while but I missed that hoping it would go down so doing a bit each day is probably a much better move. Once I've cleared the backlog I should probably just stick to powering up every day no matter what. Does that sound a better way to go to you? I strong someday my situation will improve like yours. Keep it up!! The markets seem to want to hold for now... I´m aiming for $6K price of BTC to buy too. Today is a dark day for STEEM almost 20% down, reaching below $2 price. But this doesn´t worry me, because any STEEM I have is a very long term investment. It was wonderful having you on the show with us @exyle! I like your explanation of how your version of the market psychology works. I hope prices will rebound for the better. Upvoted! @exyle with the state of things in the crypto market, I'll advice people that are into cypto to have at least 70-80% of their portfolios in USSDT 'cos of its stability until the market becomes stable. This is actually what I do, I may just be enlightened the more, but, this has really worked for me. You are in order...keep it up! I think volatility of the markets happens because cryptos are decentralized and people have less/more power to control the price. That's why it looks risky than fiats. Anyway, in the long run when there is mass adoption, prices have to go stably up. The reason has to be like now, when people may invest money into crypto because it's price may rise like bitcoin and then sell it to get fiat. Once it is mass adopted and people all over the world are able to use it directly to buy goods, services, pay for university etc. there won't be any case to sell it or if one sells, other would buy it at higher price because he will be able to use it directly. Will check out Reesteem Radio Show. Yeah, everyone is waiting for the price of bitcoin to begin growing- but this has always been the trend in the earlier months of the year. I am guessing that starting May we will see a bull run,maybe bigger than 2017. However a number of factors (mt gox trustee for instance)may hinder this but am certain that in the long-term more fiat will be coming in and with this a bitcoin/alt coins price increase. I also noticed when bitcoin goes down the alts go down hard and vice versa when it goes up. I have never tried or experience buying steem or powering up. I am still curios about and I guess I need more knowledge..
@exyle, I don't think it will ever get to your buying price o. Less than $1? Step up your buying price to maybe $1.5 . I think that's more realistic o. This great writing, i appreciate this dtube challenge. Like you I guess I better go and look for fiat money in other to purchase steemit, even if it doesn't come down to a dollar i think buying it now ain't a bad idea. Yeah, I also thinking about buy at this dip! I think it might not drop more! So this might be a good market price for BUY STEEM! Great you decided to share your strategy with others! The “bitcoin misery index” created by Wall Street strategist Thomas Lee indicates this is a good time to buy bitcoin, according to CNBC. Lee has not changed his midyear price target of $20,000 and his end year price target of $25,000 for bitcoin. Lee, co-founder of Fundstrat Global Advisors, told CNBC’s “Fast Money” Friday that when the bitcoin misery index falls below 27, bitcoin sees its best 12-month performance. Such a signal comes about every year, the strategist said. The index now stands at 18.8 on a scale of 100, making its lowest point since Sept. 6, 2011. Lee said the index offers a way to measure how happy or said you are owning bitcoin. The index is intended as a contrarian indicator. When it is low, investors should buy. When it is high, they should sell. The index accounts for the number of winning trades from the total trades. It also accounts for volatility. At the end of last week, bitcoin’s price fell 24 percent from its Monday high following reports about rising regulatory scrutiny. The low points signify pain, even though they are short-term signals. Long-term, Lee said the low points could point to a great entry way into bitcoin. The dip in Cryptos is a Wake up call for investors to buy and hold. Experience has over time proven this to be the best option. Thanks @exyle, I would be expecting your blog. Congrates for the great interview, yes i am also waiting to drop the price of steem ,so i can buy it in lower price. Interesting i want to join lol. I've been buying 2 dollar steem because I believe it will hit 10 dollars in 2018. Be patient, do not be lucky for all of you. Yo con poco tiempo en Steemit pero con algunos humildes conocimientos financieros. Me parece excelente momento para comprar. Ya tendré oportunidad si Dios quiere de trabajar en esto. Didn't know the difference between MinnowBooster and SmartSteem before this video, and the idea with the whitelist is really good. We should all try to promote the good quality content here and not just think about profit. I haven't tried leasing steempower yet since I'm a small user here but it might be something to think about in the future. What is you opinion on delegate steempower to boots for smaller users? Or is it still better to lease out steempower? Have you ever consider in leasing out steempower or do you want to keep your steempower? I have to test Dlive sometime when I have time to play with my friends. As always really enjoyed your vlog. Have a nice day exyle. Hmm this user seems to have copied my comment on vlog 244. Yeah, word for word. And no offense, your points would be easy to paraphrase. How lazy to not put the ideas into his own words. I hope that there's not a lot of this kind of thing. But good catch. These people should always be pointed out.